The MVP Supply Chain Program is designed to help companies create more sustainable, profitable, and low-risk business profiles, and empower them to help solve some of our human, environmental, and societal challenges. It also builds stronger community ties among businesses that have the common goal of being sustainable. The training will be divided into five sessions conducted over a period of two months—each lasting approximately three hours. The primary objectives of this training are to increase workforce understanding and knowledge of the specific data points required for the CDP reporting so that Fourstar can meet customer requests for carbon disclosure reporting. It also aims to reduce business costs and risks associated with natural resource intensity, carbon emissions, and climate change. We will discuss the how sustainability governance and the company’s management approach serve as the foundation for submitting to the CDP. The idea behind this activity is to get a working knowledge of climate change issues and criteria as they relate to our business and specific business risks. It is also an attempt to clearly delineate the specific information that needs to be gathered for the CDP Carbon and GHG emissions questionnaire. We will align GHG risks and opportunities to traditional elements identified at the enterprise level with the aim to gain a thorough understanding of climate change issues. It will also allow us to outline the specific information that needs to be collected for the CDP climate change questionnaire. This segment also includes scenario planning, which will be considered a part of the evaluation. We will focus on assessing water-related risks and opportunities while also evaluating the completeness of water detail available, obvious gaps, and overall data management. This is to ensure that we have a clear mindfulness of water usage/scarcity issues, and criteria is established as it relates to our business and specific business risks/opportunities. This will help us clearly identify the specific information that needs to be gathered for the CDP water usage questionnaire. As we learn that companies that measure their environmental risk are better able to strategically manage it, we will aim to build upon the assessments drafted in Module 1 and 2 so that outcomes are specifically tailored to the context of our supply chain. This will allow us to make a positive impact throughout the supply chain and help us consolidate specific information that needs to be gathered for the CDP supply chain questionnaire. We will conduct a comprehensive demonstration to help us navigate through the actual questionnaire and streamline the online reporting system for the Carbon Disclosure Project. We will also upload annual water, energy, and waste details—sourced from local service providers—to a platform that will automatically run calculations. Another peripheral benefit is our ability to mitigate costs and risks when a carbon tax is implemented in Massachusetts, as it is being done in Rhode Island. 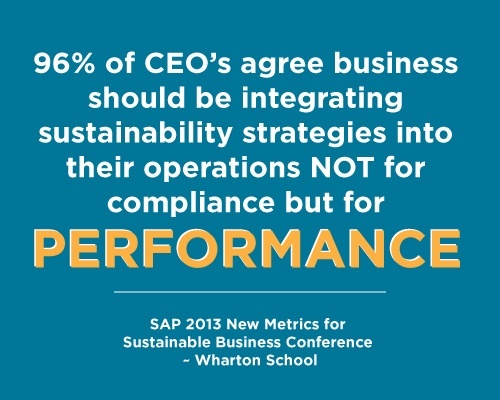 A comprehensive approach to sustainability includes being proactive regarding future risks, understanding what those risks are, and—importantly—how to mitigate them. The purpose of the carbon tax isn’t to generate revenue for states. Its intention is to addresses the real issue: carbon consumption. Without measures like these, if we continue to ignore our carbon consumption, it will negatively impact our lives in myriad ways—least of which is company profitability. The good news is that there are ways to deal with the impending carbon tax issue that can solve some very critical environmental and human issues we are currently facing, while helping to make businesses more profitable in the long run. Businesses, and the advisors that serve them, need to have a more complete understanding of what this carbon tax is really all about, and the Carbon Disclosure Project training is a “first step” in accomplishing that. What we learn at work also influences our personal lives. We hope to increase awareness among all stakeholders and help create a sustainable ecosystem within our supply chain—and in the greater community. Publicly traded companies are increasing looking to do business with suppliers that are proactively managing natural resource intensity and climate change. Global companies, such as Coca-Coal, L’Oréal, Imperial Tobacco, Dell, Walmart, and Acer all note the importance of reporting to the Carbon Disclosure Project. They consider the CDP supplier score card when doing business with companies. It informs them on risk factors, can influence favorable pricing structures, and relates vital details about shared relationship goals. There are measured scientific markers of environmental disruptions that indicate the negative impact climate change is having on our planet. Climate change and water shortages (leading corporations reported USD 14 billion in collective detrimental impacts related to water in 2015-2016 alone) are the biggest risks businesses face in the 21st century—and the CDP training can help businesses mitigate those risks. If you are a manufacturer looking to adopt similar initiatives, or a customer looking for sustainable and socially responsible cable assemblies or complex box build solutions, we would love to hear from you and find out more about your needs.